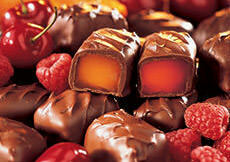 Creamy, dreamy, flavorful chocolates! The mousse-like filling in our Dreamlets candies is so rich and satisfying, you'd never guess they have a third less calories than "regular" chocolates! 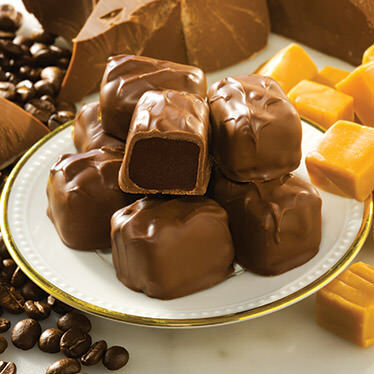 Choose from the All-Chocolate Dreamlets or the Dreamlets Assortment which has our three most popular Dreamlet flavors from past years: Caramel, Mocha, and All-Chocolate. Kosher. INGREDIENTS: All Chocolate Dreamlets: sugar, whipping cream (ultra pasteurized extra heavy cream, carrageenan, mono and diglycerides, polysorbate 80), corn syrup, chocolate liquor, cocoa butter, milk, butter, modified corn starch, pectin (pectin, disodium diphosphate, sodium polyphosphate, dextrose, dicalcium phosphate), butter oil, soy lecithin, natural and artificial flavors, sodium citrate. INGREDIENTS: Dreamlets Assortment: sugar, corn syrup, chocolate liquor, whipping cream (ultra pasteurized extra heavy cream, carrageenan, mono and diglycerides, polysorbate 80), caramel flavoring [sweetened condensed whole milk, corn syrup, cream (heavy cream, carrageenan, mono and diglycerides), natural flavors, caramel color, salt, disodium phosphate, potassium sorbate, BHA (preservative)] cocoa butter, milk, unsalted butter, modified corn starch, pectin (pectin, disodium diphosphate, sodium polyphosphate, dextrose, dicalcium phosphate), butter oil, soy lecithin, natural and artificial flavors, sodium citrate, coffee crystals, propyl gallate. My Uncle & Aunty took us to Liberty Orchards a few years ago and these were my favourite. So much so that I finished the bag I bought on the drive to the hotel and had to stop in on the way back home to stock up some more. Delicious!! 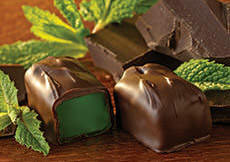 We tried these for the first time for Valentine's Day, alongside the maraschino cherry and caramel chocolates. This one we liked the least of the three. The consistency of the filling is nice... but the taste is a bit off and does not match the outer chocolate coating very well; "sour" is the best way to describe it. 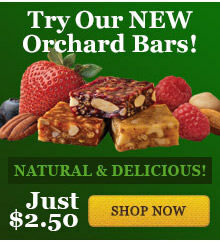 It's a fair attempt to adapt the standard Liberty Orchards filling to use chocolate, but we wouldn't order it again. 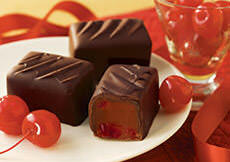 I began ordering the Chocolate Dreamlets when they first came online a few years ago. They are my favorite and THEY ARE EXCELLENT! !